Danilova crater as seen by the NASA Magellan spacecraft. Maria Danilova, Russian ballet dancer, (b. 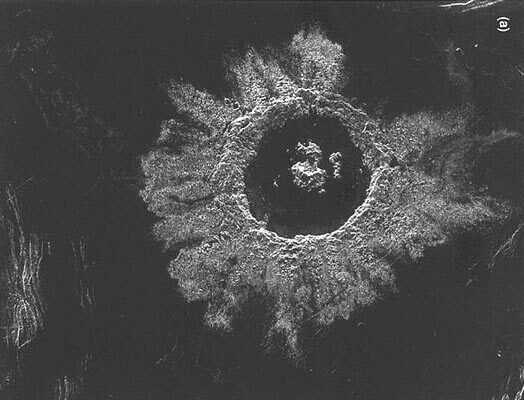 1793) is honored by the impact crater Danilova on Venus. ^ Russell, Joel F. (May 1994). Gazetteer of Venusian Nomenclature (PDF). U.S. Geological Survey. p. 4. This page was last edited on 19 February 2019, at 20:28 (UTC).